Jagjit Singh studied at Khalsa High School located in Ganganagar. After completing his matriculation, he took up science. He graduated in Arts from DAV College located in Jalandhar and has a post graduate degree in history from Kurukshetra University, Haryana. His father wanted him to join the Indian Administrative Services. But when he saw his son achieving accolades in the world of music, he was more than happy. 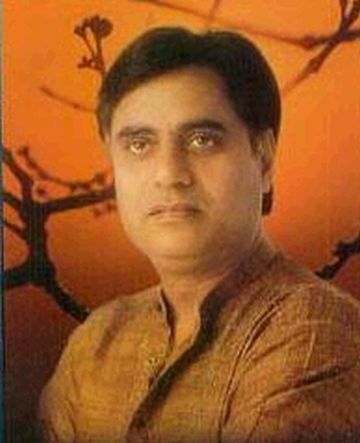 Jagjit learnt classical music under Pundit Chaganlal Sharma and achieved expertise in classical forms like Khayal, Thumri and Dhrupad. He moved to Bombay in the year 1965 searching for better luck in the field of music. Any budding artist faces initial struggles and tribulations before finally making an indelible mark in the industry. He got assignments that were limited to performing at wedding functions and singing jingles for advertisements. Around 1970's, the world of ghazals was dominated by renowned names like Noor Jehan, Malika Pukhraj, Begum Akhtar, Talat Mahmood and Mehdi Hassan. Jagjit Singh made the efforts to come with his first album titled "The Unforgettables", which was a collection of semi-classical Indian music. The different melody and freshness in Jagjit's voice appealed to all and he was recognized by the industry. Though he was scorned by many critics, it did not deter him from carving a nice for himself. The album sold numerous copies and was a hit with listeners. While Jagjit Singh was still doing jingles for advertisements during the initial years, he met another singer named Chitra. They got married after a two year long courtship in the year 1969. Together, they exemplified the first successful husband-wife singing team. They both produced numerous soulful and melodic Ghazals which were enjoyed by a wider audience. Some of the popular albums of the couple were Ecstasies, A Sound Affair and Passions. During the early 90's, they released an album named Beyond Time, which was an experimentation with different sounds and music. It conveyed a feeling that was beyond space and time and logical explanation. Sadly, around this time, their only son Vivek met with an accident and died at the young age of twenty one. It was a huge jolt for the couple and also all their fans and well wishers all over the world. After the album "Someone Somewhere", Chitra quit singing. The songs are emotionally very powerful and moving since they connect with the personal loss of the couple. However, Jagjit Singh continued to sing and his songs have only gained more popularity with each passing day. His later albums named Hope, In Search, Insight, Mirage, Visions, Kahkashan (Galaxy), Love Is Blind, Chirag (Lamp), etc. have made him the top Ghazal singer in the country and a favorite among fans. An album with Lata Mangeshkar named "Sajda" (Offering) was a hit and sold innumerable copies. It was a classic Ghazal album. Jagjit Singh did not limit himself to just Hindi songs and has also sung many Punjabi songs. His bubbly and vibrant Punjabi songs are very popular and are very pleasant to hear. 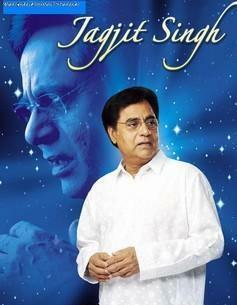 Jagjit Singh has also sung many songs for Hindi movies. Popular films include Arth, Saath Saath, Premgeet, Tum Bin, Sarfarosh, Dushman and Tarkeeb. Jagjit Singh has proved himself as a genius as he brings out the true meaning of Mirza Ghalib's poetry by singing them as melodious Ghazals. The album can be easily called as a masterpiece. His transition from the 90's till date has been absolutely marvelous as he has moved towards much more melodious and meaningful Ghazals. The quality of his voice has only become better. Besides movies, he has sung many devotional songs also that are very peaceful to hear. Jagjit Singh is any day the undisputed Ghazal artist in the modern times.